Citi recommends buying Dish TV with a target of Rs 84. They expect the turnaround in the company to continue. Dish looks relatively better placed within the Indian media universe given company specific concerns on other large plays like ZEE and SUN TV. There is one section of the market participants who believe that stock markets doesn't move based on how company's fundamentals works but on how mass psychology work which is captured by the science of technical analysis. That is where the pattern recognition comes into the picture. If you believe in mass psychology theory of the market then this book is for you. Inspite of falling markets since past 1 months there is a handfull of stocks which is hitting fresh 52 week high. These stocks are backed by some kind of positive developments which is keeping them buyoant when rest of the market is deep in the red. India's economy grew by just 7.7% in the first quarter of the 2011-12 financial year, compared to 8.8% growth in the same three-month period last fiscal. List of top 5 Highest Dividend Yield stocks in SENSEX. Now trade in US markets from India. The Dow Jones Industrial Average (DJIA) and the S&P 500 would start trading from tomorrow on the National Stock Exchange (NSE). Trading would begin tomorrow in futures contracts on both the indices and options contracts on the S&P 500 index. You must have heard about top down or bottom up strategies of stock selection many times from equity analysts on TV or business magazines, but might have been wondering for what it is and how to use it effectively while picking your set of stocks. Traders with one month view can sell september contract of NIFTY 4000 PUT at the current market price of Rs. 21. Though the strategy is a bit risky as it involves naked put writing, but it has lot of inherent safety of deep in the money. Private telecom service provider Idea Cellular informed exchanges that Axiata Investments 2 (India) Ltd has hiked its stake in the company to 5.91% by acquiring additional shares worth Rs 306.69 crore through open market transactions. Coal India (CIL) today toppled billionaire Mukesh Ambani-led Reliance Industries (RIL) as the country's most valued company. 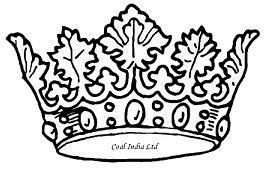 At the end of the trading day Coal India Ltd market capitalization was Rs. 251,298 crores while that of Reliance Industries was Rs. 247,106.5 crores. Online directory Just Dial today filed its Draft Red Herring Prospectus (DRHP) with the market regulator Sebi to raise as much as Rs 360 crore through an initial public offer offering (IPO). Foreign institutional investors (FIIs) were again net sellers of Rs 407.68 crore (provisional) today, according to data released by BSE. FIIs were net sellers of Rs 210.20 crore on Tuesday, August 16, according to data released by Sebi today. There are a total of 1,740 foreign funds registered with Sebi. So far this month the FIIs have sold close to $1.5 Billion (INR 6800 crores) and the benchmark index SENSEX is down over 7%. The fall has been severe in select madcaps where due to low liquidity the stocks could not sustain the selling pressures and are down in the range 20 to 50%. FSL, one of the largest pure play BPO company of India is down close to 35% in August. Similarly a Mumbai based midcap real estate company HDIL is down close to 30%. Similarly there are many midcap stocks where the fall has been far more than the index fall due to significant FII selling. 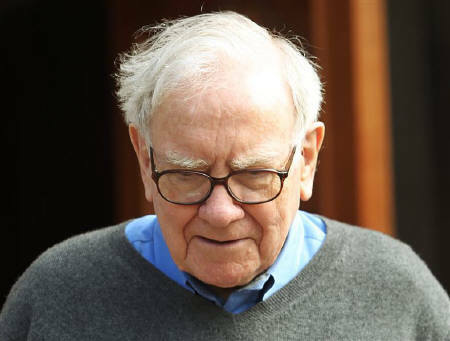 Billionaire investor Warren Buffett urged US lawmakers to raise taxes on the country's super-rich like him to help cut the budget deficit. "My friends and I have been coddled long enough by a billionaire-friendly Congress. It's time for our government to get serious about shared sacrifice," The 80-year-old "Oracle of Omaha" wrote in an opinion article in The New York Times. Buffett said higher taxes for the rich will not discourage investment. "I have worked with investors for 60 years and I have yet to see anyone - not even when capital gains rates were 39.9% in 1976-77 - shy away from a sensible investment because of the tax rate on the potential gain," he said. "People invest to make money, and potential taxes have never scared them off." InvestorZclub has been keeping a close watch on the company's performance and price movement since past 10 months when the promoters started buying the shares of the company from open market. The article titled Lloyd Electric & Engineering - Promoters buying from open market contains the details on date, quantity and pricing about the shares bought by the promoters in Nov 2010. Now in the month of August 2011 the promoters have again started buying the company's share from open market and has bought over 3.1 lakh shares (0.5%) till 12th Aug 2011. The percentage of shareholding of the promoter as on June 2011 was 37.20% but as per the latest disclosure document submitted to NSE the shareholding of the promoters has gone up to 37.71%. The country's largest lender State Bank of India (SBI) registered a decline of 25% in its first quarter consolidated net profit to Rs 2,512.5 crore from Rs 3,365 crore in the year-ago period. Regulators in France, Spain, Belgium and Italy have banned short sales in select financial stocks for two weeks starting yesterday, as they try to limit the slide in these shares. With panic over the debt problems in the US and Europe spreading, regulators are using every weapon in their arsenal to prevent a vicious cycle of falling share prices and panic selling from exacerbating the woes of distressed financial institutions. Is banning short sales an effective tool to calm the roiled markets? Doubtful, if past instances of similar actions by regulators in the US and UK, are any indication. 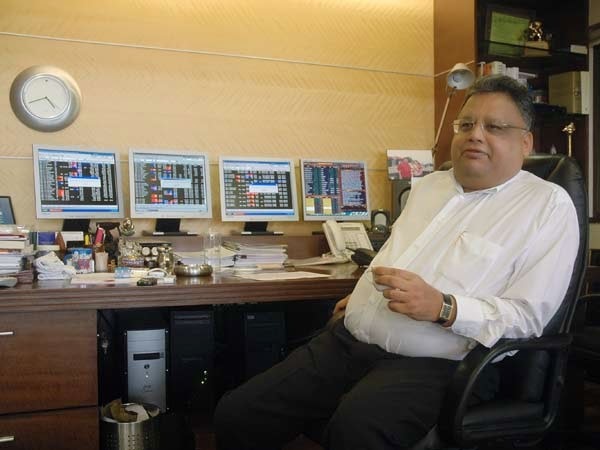 Rakesh Jhunjhunwala portfolio is being tracked by millions of investors in India and abroad. A peek at his portfolio gives a sense of what kind of stocks he is holding and putting his bets on. What's more important is the change or shuffle in his portfolio over the previous period. 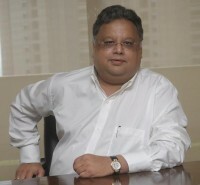 To compare with what he has been holding before check out Rakesh jhunjhunwala portfolio March 2011. Rakesh jhunjhunwala interview on the recent market correction and his latest bets / picks. Stock market terms and terminologies are essential to understand stock markets in depth. Basic financial vocabulary is very much required to decode analysts jargons, financial dailies and what's happening in the macro as well as micro world. InvestorZclub has compiled a list of more than 250 essential stock market terms with detailed description of each in the following e-book. The Intelligent Investor by Benjamin Graham has become the bible of value Investing and is being read by all kinds of Investors all over the world. The concepts published in the book some 70+ years ago is still so true and valid in today's investing environment that more and more people are becoming disciples of Value Investing philosophy. Sir Benjamin Graham coined the concept of Value Investing which Warren Buffet, Peter Lynch and many other successful investors followed to create humongous amount of wealth for themselves and stakeholders. If you are also a value investor or desire to become one, then this book is a must read. Warren Buffet, the oracle of Omaha, is known for his multibaggers and billions of dollars of wealth generated out of those multibaggers. The protege of Benjamin Graham has disclosed many of his strategies and techniques of successful stock selection in media interviews, books and articles. Below are some of his priceless tips for any stock market investors. Never depend on single income, make investment to create second source. Do not save what is left after spending, but spend what is left after spending. Never test the dept of river with both feet. Honesty is very expensive gift, do not expect it from cheap people. The following book is a gist of some of his secret investing techniques that an investor can apply while selecting stocks in any kind of market. You never know what’s in store for you! For instance, we cannot control outside events like recession. No matter what you do, it is going to affect all of us in some way or other. However some simple tips like optimum asset allocation, debt reduction, keeping emergency cash will help you tide over the rough times, without much damage. People tend to forget that good times don’t last forever. If you spend lavishly during good times and continue the trend without adapting to changes in circumstances, very soon you will land in financial trouble. Hence to ensure you lead a consistent lifestyle, always draw out a budget and ensure you stick to it religiously. E.g. if you have allocated Rs 500 per month towards your entertainment expenses, don’t spend a rupee more than Rs. 500. 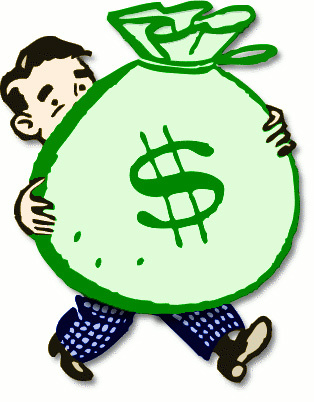 It will not only help you handle your finances better but will develop your willpower by delaying instant gratification. ConocoPhillips (COP), SanofiAventis ADS (SNY), GlaxoSmithKlien (GSK), Bank of New York Mellon (BK) and U.S. Bancorp (USB) are some of his favourite stocks that you can buy cheaper than him right now. List of High dividend yield stocks in NYSE with 1 year positive growth in operating income. Latest list of High Dividend Yield Stocks in NSE/BSE Top 100 with yield more than 5%. China downgrades US credit rating - What's the impact? China's statecontrolled credit rating agency, Dagong Global Credit Rating Co, has pushed US rating into negative territory. The move might mean drastic cut in China's purchases of US bonds, which will put pressure on US borrowings. 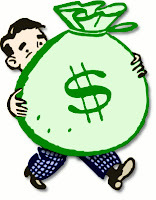 China is the largest foreign holder of US debt, with holdings amounting to $1.15 trillion as of April 2011 end.